Why any marketer needs a YouTube SEO strategy? YouTube is the biggest video search engine, and it has more than billion daily users. More and more videos are being uploaded on YouTube daily, and with such as huge content available on Youtube, it is difficult to get decent viewer unless you have a good YouTube SEO strategy. Using the focus keyword in the title of the video is the simplest SEO tip. Naming your YouTube channel also plays an important role in YouTube optimisation. Name the channel matching your niche. The length of the video is another important thing. See that your videos are long enough so that the search engine knows how detailed it is. Avoid making them too detailed. Create the videos that are high in quality. YouTube search engine gives priority to high-quality videos. 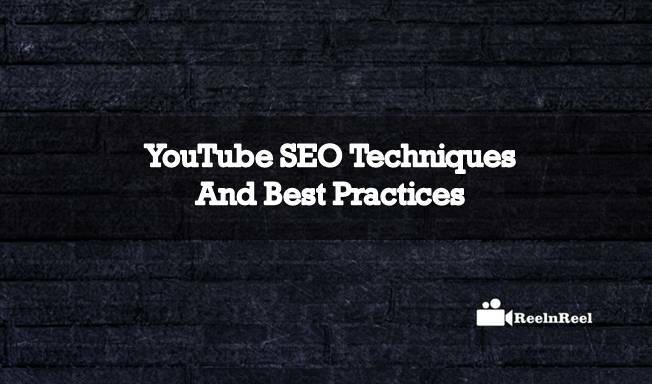 For YouTube SEO optimization, write long description for the videos. YouTube SEO optimisation helps the search engines to know what the video contains. Using appealing thumbnails for the keywords will help to rank higher in YouTube search results. The audience can easily understand what is there in the video with the custom thumbnail. This has a positive effect on the video rankings. Tutorial videos, review videos and how-to videos are most popular types of videos on YouTube. YouTube counts the clicks on the video to show it higher in the search listing other metrics that play the key role are the number of comments. Time spent by users on watching the video and the likes it received, shared etc. to satisfy this algorithm, the YouTubers have to create videos with better content that engages the audience. YouTube is a crowded place and ever YouTuber has to take the time to optimize the YouTube videos for SEO to get more traffic than the competitors.